Sustaining members are businesses or law firms. Sustaining members are ineligible to hold office, make motions or vote. Voting members are paralegals as defined by B&P Code Section 6450(c), and must be currently practicing. Paralegal Voting members are eligible to hold office, make motions and vote. 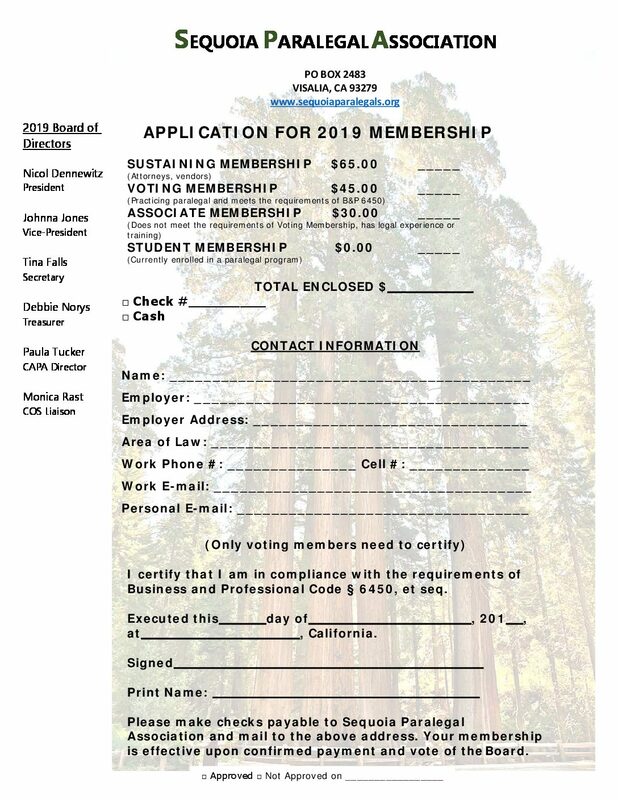 Associate Members are persons who do not meet the criteria of a voting or student member and/or who is an attorney, secretary or legal administrator. Associate members are ineligible to hold office, make motions or vote. Student members are current paralegal students or persons who have graduated from a paralegal program within the last year. Students are ineligible to hold office, make motions or vote.